Like how static surface tension indicates various basic properties of surfactants, dynamic surface tension is an indicator for various features of surfactants under transient and non-equilibrium conditions such as concentration dependency or detergent foaming. Such features are key factors in industrial application. For example, determining the dynamic surface tension can be applied to understanding emulsification or wetting properties. When surfactants adsorb to interfaces, the interfacial tension reduces and correlates to these properties. 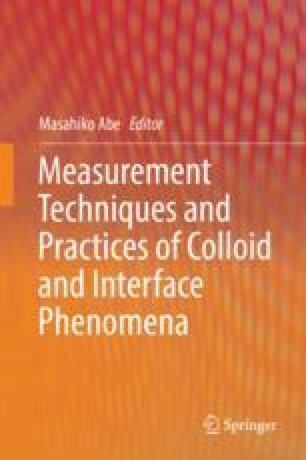 In this chapter, maximum bubble pressure measurement is introduced as a standard method to determine the dynamic surface tension along with calculation methods to determine various properties of the sample surfactant from the results.